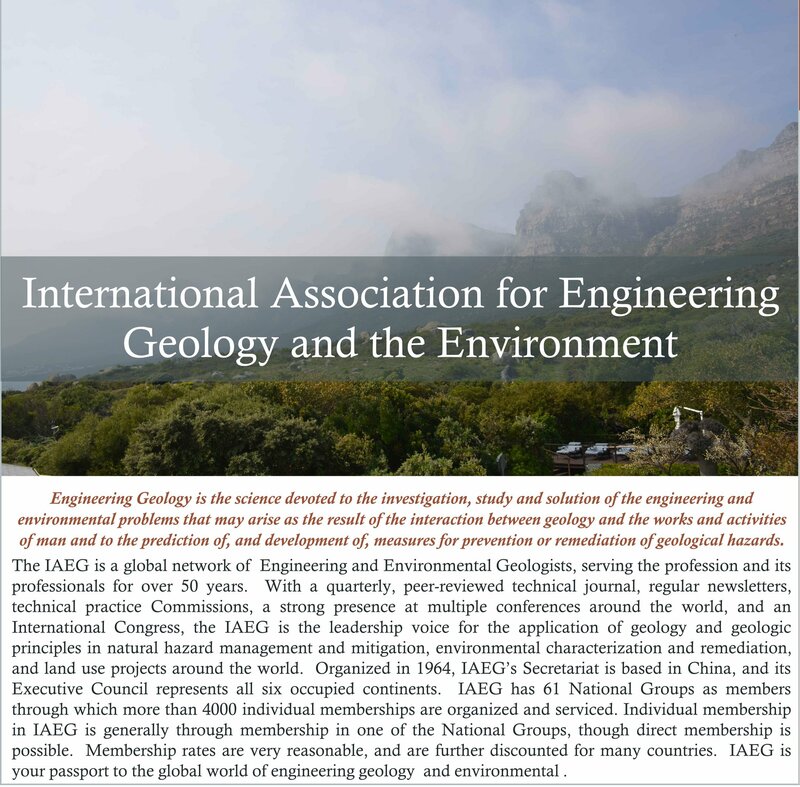 Receive the Bulletin of Engineering Geology and the Environment to reduce the fee for registration of association. Reduced fee for participation in IAEG events. Generally reduced fee for participation in events of National Groups. Consideration in award of Solidarity Fund for supporting attendance at IAEG Congress. Opportunity to network with the large IAEG Family.